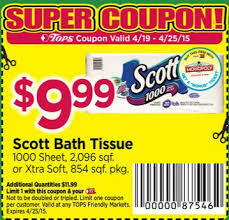 There are a few different paper coupons you will find that are store coupons. A sure way to know they are store coupons is to look on the top of the coupon and if it states “store coupon” on it, then it is a store coupon. Also, another way to tell if it’s a store coupon is if there is no remit address. You can learn more about how to tell which is a manufacturers coupon and which is a store coupon here. The most common store coupon you will come across is the in ad coupon. This coupon you will find in the weekly store ads. These coupons are store coupons (states Tops Coupon on the top – see image above). These coupons can be used in conjunction with a manufacturers coupons for extra savings when available. The next store coupons you will find are the ones that come out in the coupon inserts. These are not as often, but they do happen! Sometimes Tops will offer coupons in the mail to those signed up with the Loyalty card. These coupons get mailed to your home and usually have offers like saving a certain amount off your purchase of groceries. 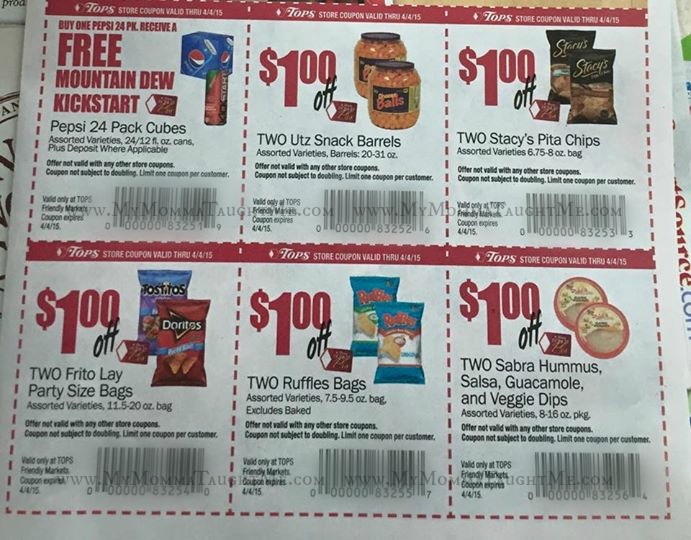 These are store coupons that can only be used at Tops Markets. Other times we see money off coupons possibly in the Sunday Papers or online offered. If you are lucky, you may get a store coupon catalina. These are catalinas that print out in stores from the catalina machine that are store coupons. That doesn’t happen often and I cannot recall the last time I saw one! Majority of the Catalina coupons are manufacturers coupons (you can see that written on the top of them). If you get one of these rare coupons, you can find some great deals that I am sure of! I once got a $1.00 off any liquid soap purchase and was able to get a bottle of dish soap for free! 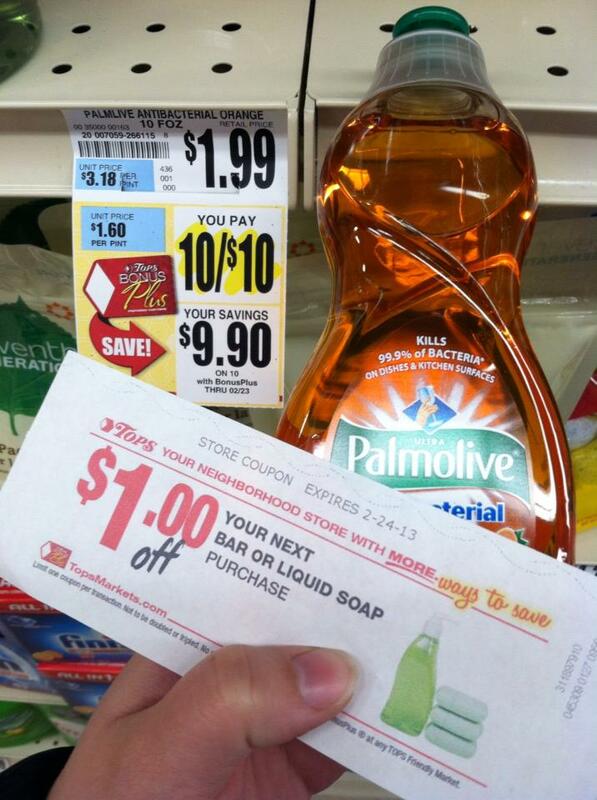 The electronic coupons can be the most confusing. These are called click to card coupons or e-coupons.Most are manufacturers coupons and cannot be stacked. The ones that are store will be under the store category on their site under e-coupons page. 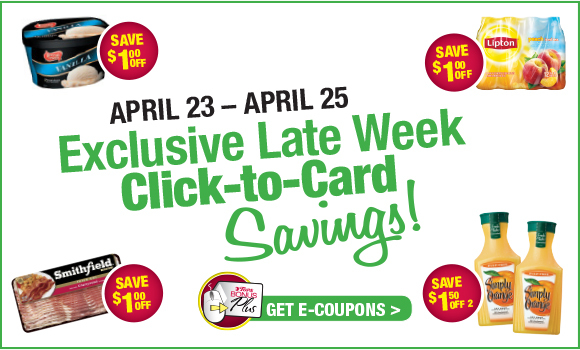 Late Week Click to Card coupons are store coupons. When shopping on our receipts we will see the “SC” for store coupon found on the bottom instead of the usual “MC” for manufacturers coupon. So we know that these late week click to card coupons are considered store coupons. You can stack manufacturers coupons with these for additional savings when available. Monopoly Coupons are found on the bonus game pieces during the Monopoly Game. These are store coupons that can be used in addition to manufacturers coupons. These are only offered when the Monopoly game goes on (once a year). Monopoly E Coupons are offered during the Monopoly Game. These are offered for those who want to enter the game codes received in the game pieces from the store. You can find them here. These are only offered when the Monopoly game goes on (once a year).